You may or may not be surprised to know that I actually really hate cooking. You are definitely not surprised if you happen to be amongst my friends who had an Easter Egg hunt with me during my first year of grad school...when my exceptionally clean oven served as hiding spot for a basket of treats. In fact, in my old apartment, I had a gas stove/oven which I didn't even bother turning on with the gas company for almost a year because I had just never had time nor the will to cook. I actually only turned my oven on when I made 100+ cupcakes for a party. "Go big or go home": this philosophy can serve one well not just in sports but also baked goods. 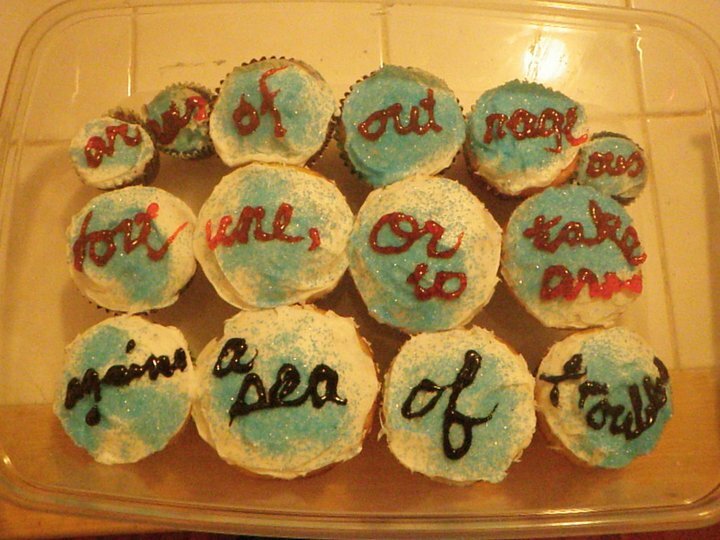 Below: Alternatively, cupcakes can be used to commemorate fast running times, as in these cupcakes I once made for my friend Macklin after he broke the 4 min. 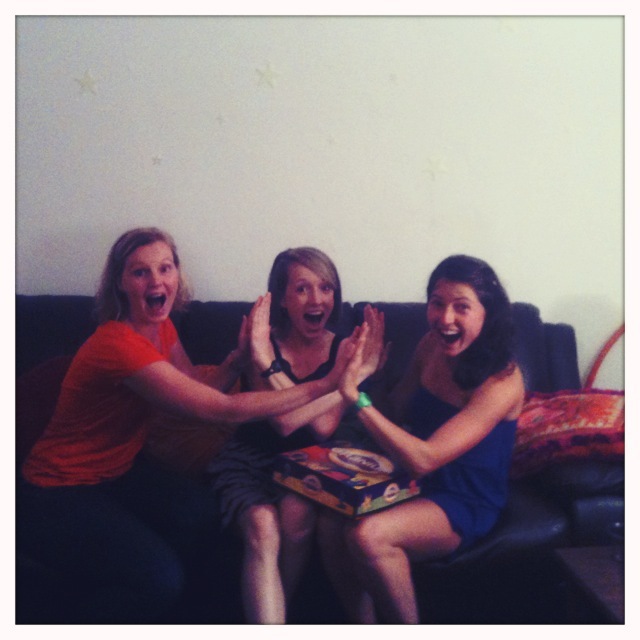 mile, OR when you play Cranium for Girls' Night (I really just wanted to use that last photo). Long aside about my oven aside, I find cooking to be a waste of time. I know that some people find it relaxing, but for me cooking is incredibly tiring--not just because I have no dishwasher--but just the whole act of "Here I am, mixing things with a spatula! Here we go, into the oven!" I simply do not enjoy this. Cooking cuts into my reading and general chill time (which I highly prize since I don't get much of it). Besides, for the most part, I've figured out a way--cough, Whole Foods meal deal, cough--to eat out less expensively with more varied and interesting healthy food options than I would have if I did try to cook for myself. Breakfast, however, is a different story, mostly because I discovered the wonderful thing that is a mugcake. A mugcake can be defined as a....get ready! 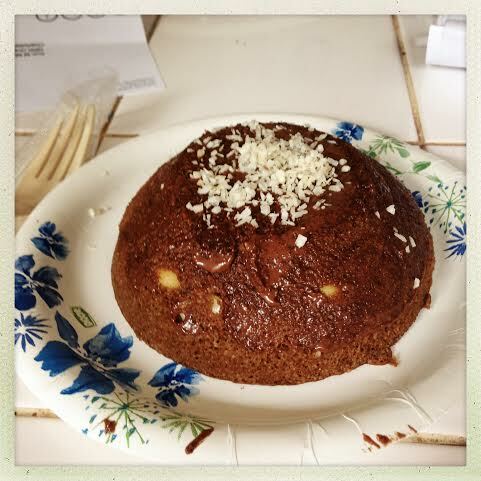 : cake that you make in a mug (or bowl). Best of all: a mugcake is best made in the microwave! Breakfast serves as the exception to my general cooking lethargy since I am not fit to leave my house until I have had my coffee and some food. I might as well add here that I have never enjoyed regular breakfast food. My dad used to try to bribe me as a child to have cereal with milk, but this never had much appeal. Instead, while growing up, before swim practice on more than one occasion, I had a chocolate Belgian waffle topped with a coating of chocolate that I put in the--you guessed it--microwave! (This was just to melt the chocolate.) 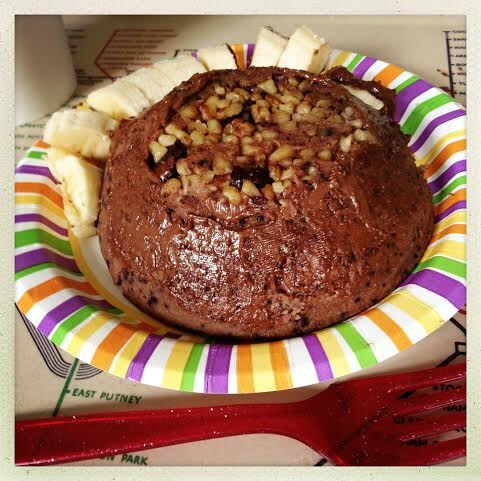 This mugcake recipe is Ann reverting to her childhood self except with more protein. Coffee plus mugcake....really just can't beat it. Below, is the recipe for the mugcake I make nearly every day for breakfast. This recipe is loosely inspired by the incredible number of mugcakes on Instagram, but has evolved to feature my own ratio of ingredients. (By the way, if you need recipes involving protein powder, look no further because Instagram should be your new BFF.) Another positive about mugcakes is that they offer endless variation for experimentation. The real chefs amongst you will find ways to have fun with this. optional: yogurt or milk, cinnamon, matcha powder, cocoa powder, almond slivers, etc. Grab your Ninja (BEST tool in the world, I might die if mine ever breaks)! Add 1/2 cup of organic oats to your Ninja and blend into flour. Add dry ingredients: 1 tablespoon of coconut flour (low glycemic, full of protein), 1 teaspoon of baking powder, and any other additions of your choosing. I like to add cinnamon, matcha powder, and/or cocoa powder. I never measure these, so just toss 'em in there! Add wet ingredients: 8 tablespoons of egg whites, 2-3 tablespoons of canned organic pumpkin, and (optional) approximately 1 tablespoon of either yogurt (any kind works) or milk (again any kind works, even chocolate or almond milk)! I think the yogurt/milk tends to make the mugcake more moist. Other potential add-ins: vanilla extract or another more exotic extract like coconut or maple. Blend everything in the Ninja. Spray a bowl or mug with non-stick cooking spray. I actually highly recommend using a bowl. I think the mugcake cooks better and it looks much prettier, like your own personal breakfast bundt cake, instead of something that dropped out of a can. Optional: toss sliced almonds or some kind of topping into bottom of bowl. Pour mugcake batter into your bowl, and cook in microwave for 3:00 on a regular setting. Note that your microwave may be more/less powerful than mine so adjust accordingly! When done, flip bowl over and voila! Mugcake! But wait, you aren't done yet. Mugcakes are WAY better if you add a topping. Some people make icings particularly for theirs but again this takes effort/time that I and likely you, reader, do not have. Instead, I spread peanut butter on my mugcake as the icing. Then, I put 5 or so Ghirardelli dark chocolate chips on the top, let them melt, and then spread that over the mugcake with the peanut better. You now get to enjoy a chocolate pumpkin cake for breakfast! Dessert for breakfast! Above: variations of mugcakes! 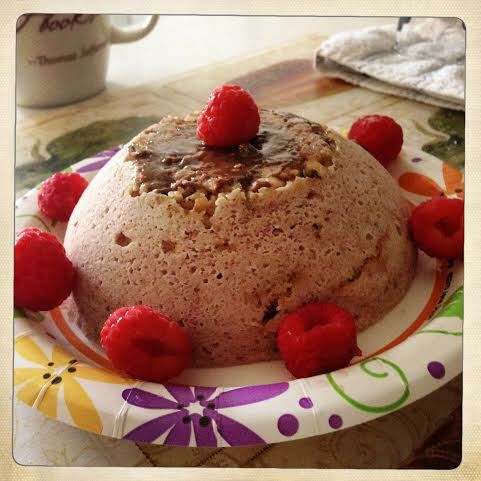 Top with walnuts, add raspberries to your "batter" and as topping, or use coconut!